Standard low fire ceramic casting body. This is the same recipe as L213 (talc and ball clay) but different brand names are employed (KT1-4 ball clay instead of M23 and Pioneer Texas talc instead of Silverline Montana talc). These brands are the whitest commonly available. The KT1-4 is also larger particle size and deflocculates better than the more plastic M23 used in L213 (since the latter is a throwing body). Ball clay:talc bodies have incredible casting properties. 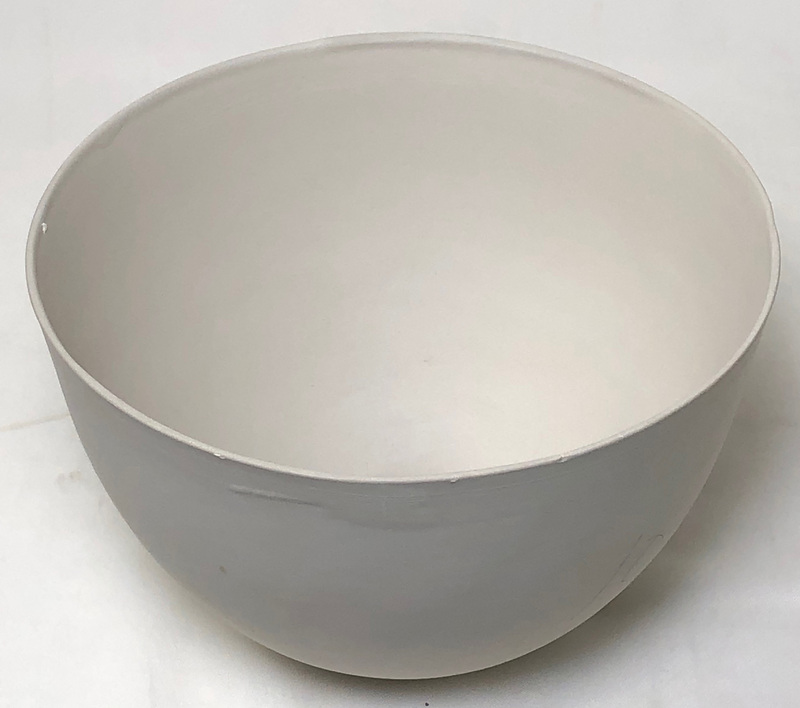 This bowl is 13cm across yet has a wall thickness of less than 2mm and weighs only 101g! It released from the mold with no problems and dried perfectly round. And when fired at cone 04-06 it will stay round!